Enthusiasm recently had the opportunity to support Merrill Academy, the secondary school in the centre of the Allenton Big local area. Because of industrial action, the school was closed for three days, which meant that students were unable to attend their classes. As the industrial dispute rolled into a third week without a resolution, the school was faced with a further three day closure. Enthusiasm was approached by Merrill Academy and asked to support them in keeping the school open to students. 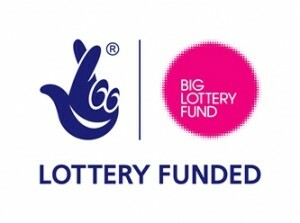 As a large proportion of students are Allenton Big Local residents, it was an opportunity to deliver support to them as one of the activities funded through Allenton Big Local. Enthusiasm provided six members of staff over the three days to support teaching staff to enable young people in Years 9, 10 and 11 to attend school. As a direct result of the support Enthusiasm gave to Merrill Academy, over 500 young people were able to attend and engage in school activities. Support teachers and young people in a classroom settings. Support the delivery of lunch time football sessions and after school clubs. Support staff in the behavioural unit. Help with the on-call support staff for teachers in classrooms that were having difficulties with young people. Without this support the young people would have faced three days in the community, bored and, in many cases, unsupervised and left to their own devices. Enthusiasm had already received feedback from the police and anti-social behaviour managers that ASB had increased during the earlier days of the strike and subsequent school closure. Their support in the third week of the strike allowed students to attend school as usual, thus eliminating the risk of them getting into trouble. Young people and teachers enjoyed the support and presence of the Enthusiasm team within the school. The Enthusiasm team also continues to provide detach work every Thursday night at the end of the school day from 3pm to 3.45pm. They are around to listen, advise and guide young people as they leave school and can help to address any issues that may have occurred during the school day.